- Mark the exter­nal drive’s True­crypt par­ti­tion or dri­ve as a “Favorite”. - Open the “Favorite Vol­umes Orga­niz­er”. — Check the option “Mount select­ed vol­ume upon logon” for the Favorite’d encrypt­ed par­ti­tion or dri­ve. 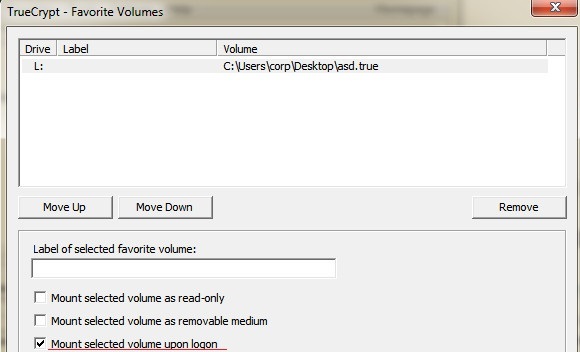 This entry was posted in APLICATION, GUIDE, Truecrypt, Windows.